Date: 28.03.2018 | House, Electro, Club | Tags: Kasa Remixoff, Bigest Family, Kasa Records, Worldwide, Torn Apart, Deposit, Baldinini | Download Kasa Remixoff - Bigest Family (2018) for free. Vadim Kasap and hes Kasa Remixoff is Ukrainian producer of electronic sound. Love of music was present from birth. Kasa Remixoff DJ is fully available to the public, feeling, and skillfully delivers the material. His sets and original tracks are supported and loved by thousands of fans, and many DJ'S abroad. 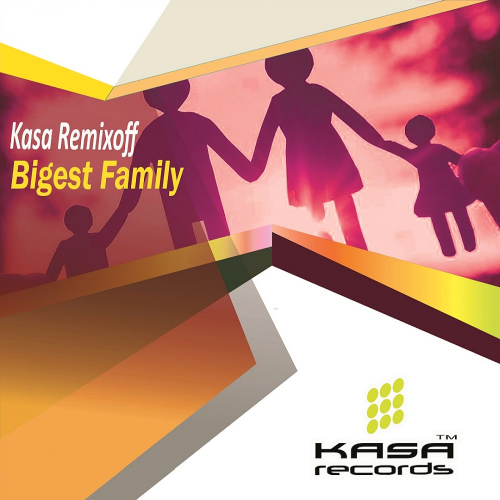 Casa Remixoff published many singles releases: Today more than 200 tracks in a place with remixes of the project presented at Kasa Remixoff 35 labels, which are scheduled to enter the sale in record stores all over the world every month. Each time more and learn more about the outside of Ukraine Kasa Remixoff and listen to tracks, loved and appreciated!